In the 1940s, a wetland was filled and leveled to create an airstrip. An artificial grassland was born. Over time the original trees and plants of the wetland returned only to be cut back by mowers and grazing animals. 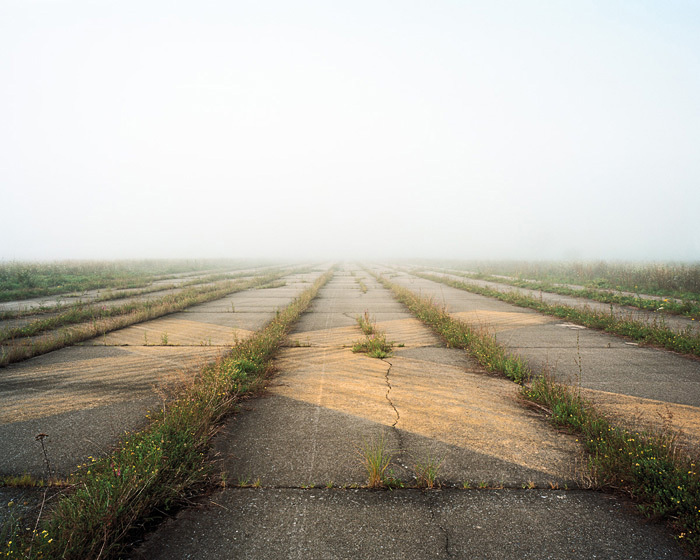 In the 1990s, the abandoned airstrip became the Shawangunk Grasslands National Wildlife Refuge. Now the runways crumble as plants sprout through cracks in the tarmac, and the sun, rain, and snow take their toll. Mowers still cut the grass to hold back the succession to forestland. From the outside world, development, changing agricultural practices, and habitat loss slowly press on its borders. Grassland exists in a hybrid state. Like an imitation of a natural landscape, it attempts to be something that it never was, and can’t be without constant intervention. In this mowed plain, the ultimate ordered terrain, we see a panorama of policy; of decisions made in faraway offices where flatness and straight lines flow from an engineer’s pen rather than from some natural process. Trees appear like plots on a map, isolated in Grassland’s vastness, only at the edges allowed to grow unchecked. One year this half gets mowed, the next year that half. A tractor fills the niche that would be occupied by brushfires. For the grasshoppers who make constant take offs and landings in the late summer, or the coyotes whose droppings remind us of their presence, the creator of these runways is irrelevant. After four years of photographing in its 500 acre expanse, I am beginning to bring Grassland into focus. These images are a type of fiction; a story of a place told through the traces of its inhabitants—a tire mark here, a bird house or a puddle of broken glass there. Signs of its past, present, and future mark its rationalized topography like small-scale reenactments of the dramas playing out in the world around it. An archeology of the present, the images depict the landscape of this time--managed but wild, planned yet unpredictable, expressed not through traces that have left their mark for centuries or millennium, but through phenomena that are more fleeting and ephemeral, some playing out over a season or years, others lasting a mere afternoon. 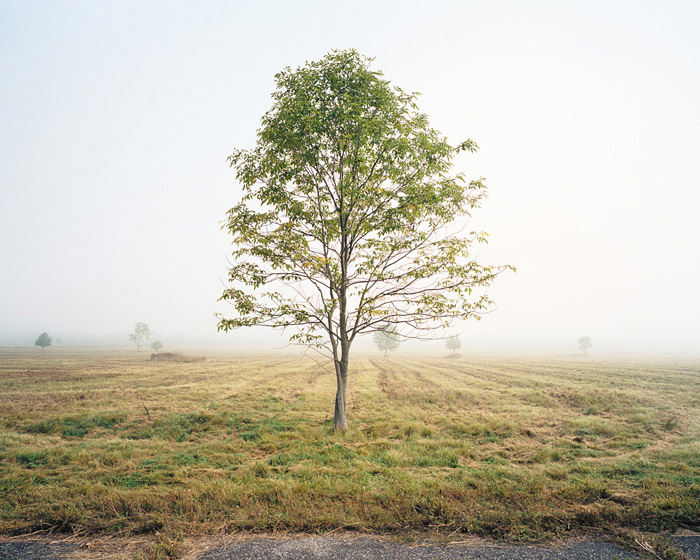 A limited edition book of Grassland is available from photo-eye and Kehrer/Verlag. Phil Underdown is a Gardiner, NY based artist. To view more of Phil's work, please visit his website.